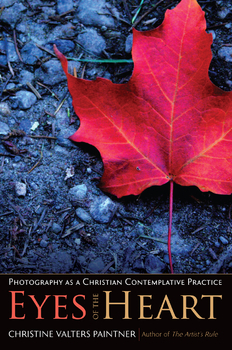 I don’t often do book reviews, but when Sorin Books contacted me about doing one on Christine Valter’s Paintner’s latest book Eyes of the Heart: Photography as a Christian Contemplative Practice, I was delighted. 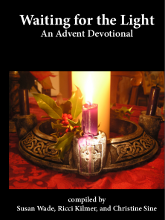 I love Christine’s contemplative books and this one did not disappoint. I am a keen photographer but this book’s appeal goes far beyond that. Its contemplative exercises adapt the contemplative practices of lectio divina and visio divina into a new form of spiritual observation. Through the lens of a camera we can not just take images but receive them. Christine redefines photography as a receiving rather than a taking skill. She points out that the traditional perspective of photography is aggressive – we shoot or take photos. 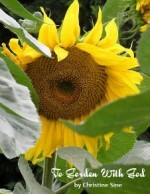 Yet really we are receiving an image, the transmission of light from a scene or object that God has created. I love this fresh approach to photography and its application to the way we look at the world as we walk, talk and interact. And I love the provokative questions she asks: What is hidden and what is revealed – a question not just in a photograph but in all of life. What is mirrored back? Traditional SLR cameras use mirrors to create images and in life we need polished inner mirrors that cultivate our capacity to see God more clearly in more places and experiences. You can probably tell that I loved this book and found it both challenging and inspiring. I would heartily recommend Eyes of the Heart: Photography as a Christian Contemplative Practice, to all my friends, photographers and non photographers alike who desire to have the eyes of their hearts opened to a deeper and clearer experience of God. I love the photo of the girl with the koala and put it up as background picture on our screen. I hope you don’t mind, Christine. It is so endearing. Barbara that makes me smile – this is a photo of myself at 9 years old – a very fond memory from my childhood.